During an intense weekend in an idyllic refuge beside Sierra de Guadarrama National Park, attendees were immersed in the practice of Autogenics, starting from the framework of states of consciousness and emotions (lecture by Dr. Miguel Ángel Santed), psychosomatics (lecture by Dr. Carlos Mur), the historical bases of Autogenics (lecture by Prof. Luis de Rivera), neurobiology of functional-NMR (workshop by José Luis González Mora) and States of consciousness and virtual reality (lecture and workshop by José María Poveda) among other interesting contributions. One of the most special moments was the short intervention recorded by Prof. Wallnöfer, encouraging to the atendees to practice and develop Autogenics within ISATAP. The congress served to recognize the points in common and peculiarities of the different schools and centers present, especially the Italian, Bionomie, the Hungarian-Carpatian, Symboltherapy, and the Spanish, with a wide presentation of Autogenics 3.0 including the new somatosensory meditation, feeling meditation and autogenic cardiac coherence; and also with important contributions from the United Kingdom and Austria. Prof. Heinrich Wallnöfer, Honorary President of ISATAP, not only for being the one living disciple of Schultz, but above all for representing the tradition of the principles of Autogenics, and the zest for its evolution and elevation to levels even more useful for the needs of today's humanity. With his appointment as Honorary President, we hope that he will serve as an example and guide to all ISATAP members. Eduardo Gómez-Utrero, was named Responsible for Scientific Intelligence (new position). Founding member of ISATAP, Eduardo is a Doctor Specialist in Clinical Neurophysiology. Expert in Fibromyalgia and Chronic Fatigue. He is entrusted with the difficult and important task of collecting and making available to members all the information on Autogenics and the related sciences. Luca-Gionata Zannino was named Managing Editor of IJAR - International Journal of Autogenics Research (new position). 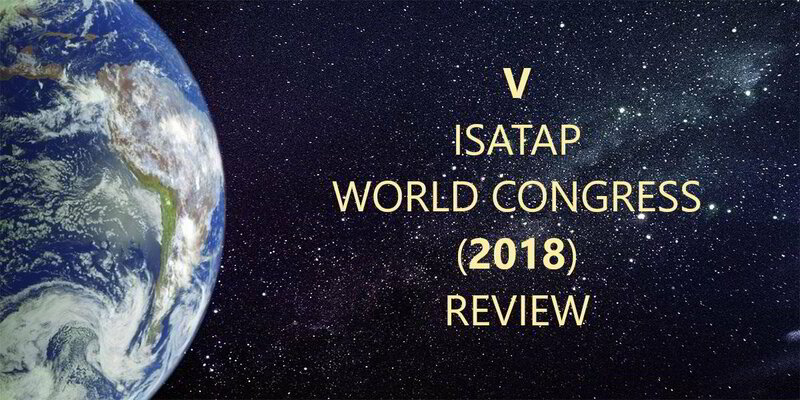 Luca is an enthusiastic member of ISATAP since 2015, and has since gone to all our congresses. Dr. Zannino is Medical Director Psichiatria presso Dipartimento Salute Mentale Regione Piemonte, Rome and has been entrusted with the important task of contributing to the scientific progress of Autogenics through the diffusion organ of ISATAP: IJAR. The main conclusion of the congress was to continue working for the development and diffusion of Autogenics in the world, looking for confluences of the different currents, for which monographic meetings will be organized soon. All the atendees were very happy with installations, atmosphere, scientiphic level and participation.